Haunted Hotel: Beyond the Page is rated 3.0 out of 5 by 6. 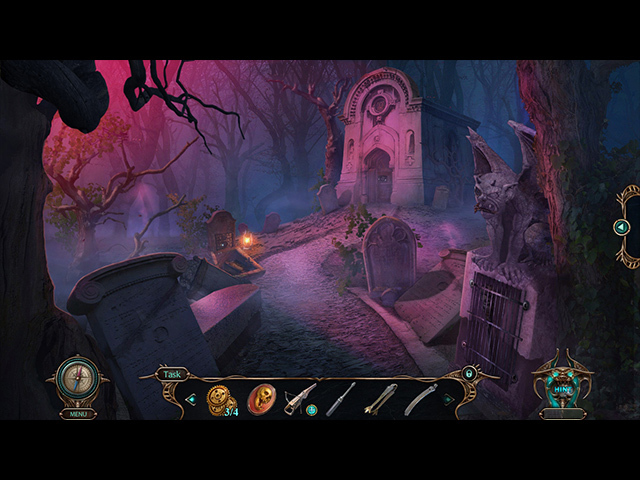 Rated 5 out of 5 by chrsmar60 from Fun Hidden Object Game I bought the SE version, and loved it. 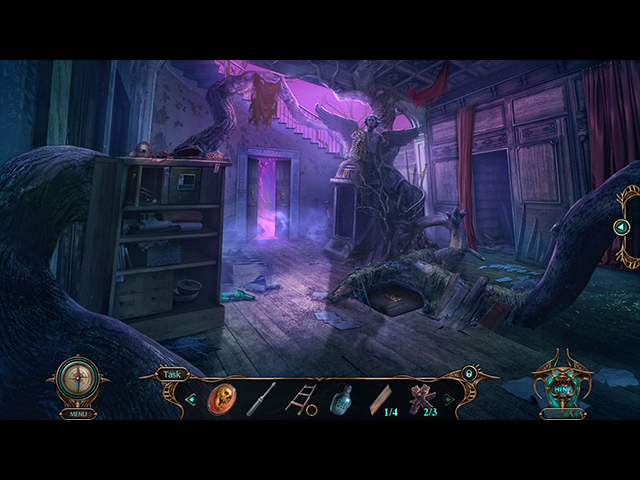 I love all the Elephant HO games, especially the Haunted Hotel Series. Great scenes, color, and characters. Plenty of standard HO and one finding pairs. Lots of mini games which I know a lot of people like. I'm not really into them, so played custom so I skip most of them. I think it is a game that any one from beginner to expert could enjoy. Rated 3 out of 5 by LikeAGoodStory from Storyline Made the Game The storyline does have a lot of monsters and is beyond the usual for this series but the writer in me enjoyed it. It seemed as if the developers were having a bit of fun with it. Game play is basic and not difficult. Sometimes, the inventory gets large (not a favorite of mine) but in general, the HOPs are the usual fare, as other reviewers have mentioned. Perhaps if the HOPS had been as unexpected as the storyline, this would be a 5 star game. It would for me. My review is based upon completed play of the game. Rated 3 out of 5 by PATinPNS from Is this the Same Hotel Series? This is posted after playing the entire game. I waited for a while for this to come out in the SE, and I just wish I hadn't gotten my hopes up. It was rather disappointing. I can't believe this is the same developer who brought us all those other wonderful games in this series. To begin with, the demo was really short in my opinion. I couldn't tell if I was going to like it or not, but with my previous experience with the developer and this series I made the purchase. Graphics were good... dark, as expected, but very well done. Music wasn't intrusive and went along with the action in the scene, but the lip sync wasn't very good in the voice overs. Kind of like the old Japanese Godzilla movies where the lips move and then the sound. Effects were really good. My computer didn't like the game for some reason. It lagged so much it was like playing in slow motion. I have a relatively new computer with gaming software so I don't know what was wrong. 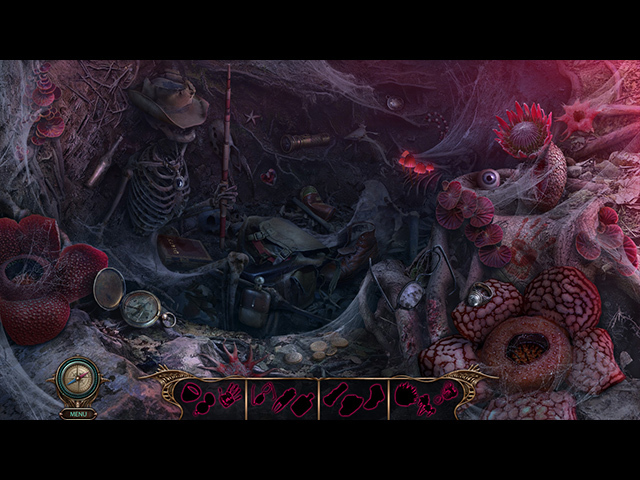 I found the hidden object scenes well done. Challenging and yet attainable .. usually. They were varied from lists to my least favorite silhouettes, to a combination of both. I rather enjoyed them. The mini games were way beyond my understanding and patience level. Love that skip button. One thing I wish all developers would do, is allow the instructions to be read before the game begins. Several of the minis, especially the last one, showed things on the scene, and as I was reading the instructions, everything turned over and I had not idea where to even begin finding the matching items. I'm not a big mini fan anyway, but this was just so frustrating! The story was out there even for this series. It wasn't a bad story at all, but it did take a while for me to get into it. Once I did, it was rather enjoyable. Others will go into the story in-depth so I'll not bore you with my rendition. As always give the demo a try, but as I said it is rather short, so don't base your like or dislike on it. I have purchased a lot worse games, but I expected a higher quality from these folks than what was delivered. Rated 2 out of 5 by heartblob from hanted hotel what hotel am I in it now ????? Well not much to say except ugh I hoped for better from this but have just found it to be miserable dark and dull no excitement , in fact dull colourless and boring will we have better next time?? maybe a brighter more enjoyable Hotel.... I am not going to this place again. Rated 2 out of 5 by Pilot1 from It's time to check out of this hotel, and this series of games! I have eleven of the Haunted Hotel series, so you’d be right in thinking that I like these games. 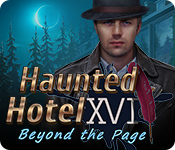 Now comes Haunted Hotel - Beyond the Page and, being the cautious purchaser —okay, make that cynical— I downloaded and played the demo instead of just buying it, or using some of the thirteen credits I have stored up. I’m not going to describe the game play-by-play, or the so-called extras, others have done that and there’s no point in reinventing an already well-built wheel. Compared to some of the other Haunted Hotel games — Death Sentence, Phoenix, The Axiom Butcher, Personal Nightmare, to mention just a few— this game is very disappointing. Apparently Elephant Games graphics engine needs a tune-up because the clarity, the sharpness, the almost life-like movements of the characters, are all nonexistent in this game. I’m searching for a word or two that adequately describe for you what you’d see. Wait, I’ve got ‘em! Muddy, blurred out-lines, wooden movement! There you go, friends, that ought to give you the, ahem, picture. The opening few minutes of this game makes it very clear that almost no effort went into its production. Here are just a few of the indicators: there's an out-of-reach object in a pond, you have to find and put together parts of a fishing rod to get it; a locked bag and, yes, you have to find a pin to open it; a sign that's missing letters . . . I really don't need to go on, do I? I also have to wonder if the writers of the other games have all gone to work for another developer because the quality of this story is far below the games that precede it. Even the dialogue is below par; stilted, trite, even childish. Speaking of childish, I have to yet again wonder where the directorial finesses has gone when the voice of the child —oh, yes, we have yet another terrorized child here— is so very poorly performed by an obviously adult performer. After about ten minutes of playing this game I began to experience a feeling all too common to most of the this past year’s offerings —boredom! I really don’t expect much from a game, but I do expect that it will keep me engaged and, give me some enjoyment. This game does neither. Nor does it get a recommendation from me that you buy it. In truth, I’d not even recommend it for a try-before-you-buy.